Maybe someone knows the brand of this watch? RDA often uses them. 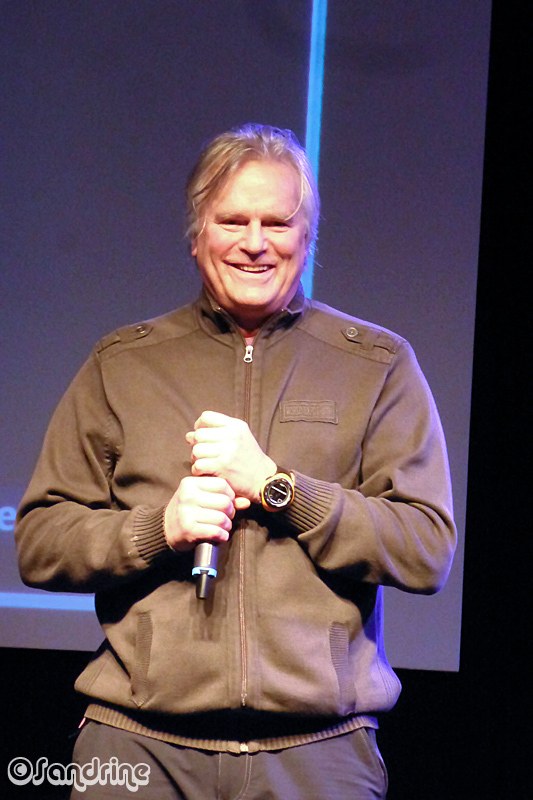 I can't tell from the picture what it is, but during Stargate RDA was particularly fond of Suunto watches, and he got the costume department to use them for all the SG teams. And he wore them himself "in real life." That was a long time ago, though, so I don't know if he may have found a new favorite since then. Some of the photos in the Photo Gallery may have better close-ups, especially of his hands when he is signing autographs, where it might be possible to read information off the face of the watch. He has a few different ones, in different colors, but at least it may give you a clue of where to start looking. Thank you very much, Kate!!! I think it's Suunto Vector Yellow.